Count Frontenac, governor of New France, refused English demands to surrender during the Battle of Quebec (1690). King William's War (1688–97, also known as the Second Indian War, Father Baudoin's War, or Castin's War) was the North American theater of the Nine Years' War (1688–97, also known as the War of the Grand Alliance or the War of the League of Augsburg). It was the first of six colonial wars (see the four French and Indian Wars, Father Rale's War and Father Le Loutre's War) fought between New France and New England along with their respective Native allies before Britain eventually defeated France in North America in 1763. For King William's War, neither England nor France thought of weakening their position in Europe to support the war effort in North America. New France and the Wabanaki Confederacy were able to thwart New England expansion into Acadia, whose border New France defined as the Kennebec River in southern Maine. According to the terms of the Treaty of Ryswick, the boundaries and outposts of New France, New England, and New York remained substantially unchanged. England's Catholic King James II was deposed at the end of 1688 in the Glorious Revolution, after which Protestants William and Mary took the throne. William joined the League of Augsburg in its war against France (begun earlier in 1688), where James had fled. In North America, there was significant tension between New France and the northern English colonies, which had in 1686 been united in the Dominion of New England. New England and the Iroquois Confederacy fought New France and the Wabanaki Confederacy. The Iroquois dominated the economically important Great Lakes fur trade and had been in conflict with New France since 1680. At the urging of New England, the Iroquois interrupted the trade between New France and the western tribes. In retaliation, New France raided Seneca lands of western New York. In turn, New England supported the Iroquois in attacking New France, which they did by raiding Lachine. There were similar tensions on the border between New England and Acadia, which New France defined as the Kennebec River in southern Maine. English settlers from Massachusetts (whose charter included the Maine area) had expanded their settlements into Acadia. To secure New France's claim to present-day Maine, New France established Catholic missions among the three largest native villages in the region: one on the Kennebec River (Norridgewock); one further north on the Penobscot River (Penobscot) and one on the St. John River (Medoctec). For their part, in response to King Philip's War, the five Indian tribes in the region of Acadia created the Wabanaki Confederacy to form a political and military alliance with New France to stop the New England expansion. 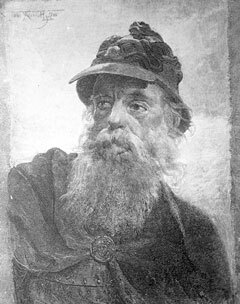 The New England, Acadia and Newfoundland Theatre of the war is also known as Castin's War and Father Jean Baudoin's War. In April 1688, Governor Andros plundered Castine's home and village on Penobscot Bay (Castine, Maine). Later in August, the British raided the French village of Chedabouctou. In response, Castin and the Wabanaki Confederacy engaged in the Northeast Coast Campaign of 1688 along the New England/Acadia border. They began August 13, 1688 at New Dartmouth (Newcastle), killing a few settlers. A few days later they killed two people at North Yarmouth. At Kennebunk, in the fall of 1688, members of the Confederacy killed two families. The following spring, in June 1689, several hundred Abenaki and Pennacook Indians under the command of Kancamagus and Mesandowit raided Dover, New Hampshire, killing more than 20 and taking 29 captives, who were sold into captivity in New France. In June, they killed four men at Saco. In response to these raids, a company of 24 men were raised to search for the bodies and pursue the natives. They were forced to return after they lost a quarter of their men in conflicts with the natives. In August 1689, Jean-Vincent d'Abbadie de Saint-Castin and Father Louis-Pierre Thury led an Abenaki war party that captured and destroyed the fort at Pemaquid (in present-day Bristol, Maine). The fall of Pemaquid was a significant set back to the English. It pushed the frontier back to Casco (Falmouth), Maine. New England retaliated for these raids by sending Major Benjamin Church to raid Acadia. During King William's War, Church led four New England raiding parties into Acadia (which included most of Maine) against the Acadians and members of the Wabanaki Confederacy. On the first expedition into Acadia, on September 21, 1689, Church and 250 troops defended a group of English settlers trying to establish themselves at Falmouth (present-day Portland, Maine). The tribes of the Wabanaki Confederacy killed 21 of his men, but Church's defense was successful and the natives retreated. Church then returned to Boston leaving the small group of English settlers unprotected. The following spring over 400 French and native troops, under the leadership of Castin, destroyed Salmon Falls (present-day Berwick, Maine), then returned to Falmouth and massacred all the British settlers in the Battle of Fort Loyal. When Church returned to the village later that summer he buried the dead. The fall of Fort Loyal (Casco) led to the near depopulation of Maine. Native forces were then able to attack New Hampshire frontier without reprisal. The New Englanders, led by Sir William Phips, retaliated by attacking Port Royal, the capital of Acadia. The Battle of Port Royal began on May 9, 1690. Phips arrived with 736 New England men in seven English ships. Governor de Meneval fought for two days and then capitulated. The garrison was imprisoned in the church, and Governor de Meneval was confined to his house. The New Englanders levelled what was begun of the new fort. The residents of Port Royal were imprisoned in the church and administered an oath of allegiance to the King. Phips left, but warships from New York arrived in June which resulted in more destruction. The seamen burned and looted the settlement, including the parish church. The New Englanders left again, and Villebon, the Governor of Acadia, moved the capital to safer territory inland at Fort Nashwaak (present-day Fredericton, New Brunswick). Fort Nashwaak remained the capital until after the war, when Port Royal was restored as the capital in 1699. In Church's second expedition to Acadia, he arrived with 300 men at Casco Bay on 11 September 1690. His mission was to relieve the English Fort Pejpescot (present day Brunswick, Maine), which had been taken by the Wabanaki Confederacy. He went up the Androscoggin River to Fort Pejepscot. From there he went 40 miles (64 km) upriver to Livermore Falls and attacked a native village. Church's men shot three or four native men when they were retreating. Church discovered five English captives in the wigwams. Church butchered six or seven natives and took nine prisoners. A few days later, in retaliation, the members of the Wabanaki Confederacy attacked Church at Cape Elizabeth on Purpooduc Point, killing 7 of his men and wounding 24 others. On September 26, Church returned to Portsmouth, New Hampshire. During King William's War, when the town of Wells contained about 80 houses and log cabins strung along the Post Road, it was attacked on June 9, 1691, by about 200 Native Americans commanded by the sachem Moxus. But Captain James Converse and his militia successfully defended Lieutenant Joseph Storer's garrison, which was surrounded by a gated palisade. Another sachem, Madockawando, threatened to return the next year "and have the dog Converse out of his den". As the natives withdrew, they went to York off Cape Neddick and boarded a vessel, killing most of the crew. They also burned a hamlet. In early 1692, an estimated 150 Abenakis commanded by officers of New France returned to York, killing about 100 of the English settlers and burning down buildings in what would become known as the Candlemas Massacre. Church's third expedition to Acadia during the war was in 1692 when he raided Penobscot (present-day Indian Island, Maine) with 450 men. Church and his men then went on to raid Taconock (Winslow, Maine). In 1693, New England frigates attacked Port Royal again, burning almost a dozen houses and three barns full of grain. On July 18, 1694, French soldier Claude-Sébastien de Villieu with about 250 Abenakis from Norridgewock under command of their sagamore (paramount chief), Bomazeen (or Bomoseen) raided the English settlement of Durham, New Hampshire, in the "Oyster River Massacre". In all, the French and native force killed 45 inhabitants and took 49 captive, burning half the dwellings, including five garrisons. They also destroyed crops and killed livestock, causing famine and destitution for the survivors. In 1696, New France and the tribes of the Wabanaki Confederacy, led by St. Castine and Pierre Le Moyne d'Iberville, returned and fought a naval battle in the Bay of Fundy before moving on to raid Pemaquid, Maine. 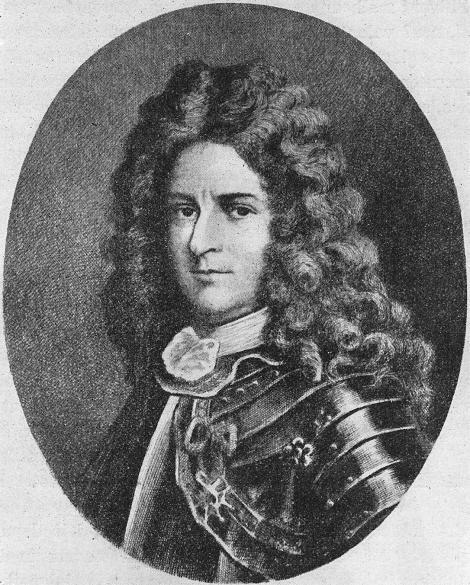 After the Siege of Pemaquid (1696), d'Iberville led a force of 124 Canadians, Acadians, Mi'kmaq and Abanakis in the Avalon Peninsula Campaign. They destroyed almost every Engish settlement in Newfoundland, over 100 English were killed, many times that number captured, and almost 500 deported to England or France. In retaliation, Church went on his fourth expedition to Acadia and carried out a retaliatory raid against Acadian communities on the Isthmus of Chignecto and Fort Nashwack (present-day Fredericton, New Brunswick), which was then the capital of Acadia. He led his troops personally in killing inhabitants of Chignecto, looting their household goods, burning their houses and slaughtering the livestock. Also in August 1689, 1,500 Iroquois, seeking revenge for Governor General Denonville's actions, attacked the French settlement at Lachine. Count Frontenac, who replaced Denonville as governor general, later attacked the Iroquois village of Onondaga. New France and its Indian allies then attacked English frontier settlements in early 1690, most notably at Schenectady in New York. This was followed up by two expeditions. One, on land under Connecticut provincial militia general Fitz-John Winthrop, targeted Montreal; the other, led by Sir William Phips, targeted Quebec. Winthrop's expedition failed due to disease and supply issues, and Phips was defeated in the Battle of Quebec. The Quebec and Port Royal expeditions were the only major New England offensives of King William's War; for the remainder of the war the English colonists were primarily engaged in defensive operations, skirmishes and retaliatory raids. The Iroquois Five Nations suffered from the weakness of their English allies. In 1693 and 1696, the French and their Indian allies ravaged Iroquois towns and destroyed crops while New York colonists remained passive. After the English and French made peace in 1697, the Iroquois, now abandoned by the English colonists, remained at war with New France until 1701, when a peace was agreed at Montreal between New France and a large number of Iroquois and other tribes. The war also served as a backdrop for an ongoing economic war between French and English interests in Arctic North America. The Hudson's Bay Company had established trading outposts on James Bay and the southern reaches of Hudson Bay by the early 1680s. In a series of raids beginning with an expedition in 1686 organized by Governor Denonville, most of these outposts were taken by French raiders, primarily led by Pierre Le Moyne d'Iberville. In one of the war's major naval battles, d'Iberville, with a single ship, defeated three English ships in Hudson Bay. The Treaty of Ryswick signed in September 1697 ended the war between the two colonial powers, reverting the colonial borders to the status quo ante bellum. The peace did not last long; and within five years, the colonies were embroiled in the next phase of the colonial wars, Queen Anne's War. After their settlement with France in 1701, the Iroquois remained neutral in that conflict, never taking part in active hostilities against either side. Tensions remained high between the English and the Abenaki, who again fought with the French in Queen Anne's War. The Ryswick treaty was unsatisfactory to representatives of the Hudson's Bay Company. Since most of its trading posts in Hudson Bay had been lost to the French before the war began, the rule of status quo ante bellum meant that they remained under French control. The company recovered its territories at the negotiating table when the Treaty of Utrecht ended Queen Anne's War. Wikimedia Commons has media related to King William's War. John G. Reid. "Amerindian Power in the Early Modern Northeast: A Reappraisal.” William and Mary Quarterly, 3rd series, 61 (2004), 77-106. Co-authored with Emerson W. Baker. ↑ 1.0 1.1 "Biography – THURY, LOUIS-PIERRE – Volume I (1000-1700) – Dictionary of Canadian Biography". Biographi.ca. http://www.biographi.ca/009004-119.01-e.php?id_nbr=562&PHPSESSID=m3tj852vp2kc6522vmk91nd765. Retrieved 2013-09-16. ↑ The first Indian War is better known as King Philip's War, the Third Indian War was Queen Anne's War, the Fourth Indian War was Father Rale's War, the fifth was King George's War and the sixth was the French and Indian War. See Taylor, Alan. Writing Early American History. Philadelphia: University of Pennsylvania Press, 2005; pg. 74. ↑ Alan F. Williams, Father Baudoin's War: D'Iberville's Campaigns in Acadia and Newfoundland 1696, 1697, Memorial University of Newfoundland, 1987. ↑ 4.0 4.1 Herbert Milton Sylvester. Indian Wars of New England: The land of the Abenake. The French occupation. King Philip's war. St. Castin's war. 1910. ↑ 6.0 6.1 William Williamson. The history of the state of Maine. Vol. 2. 1832. p. 27; Griffiths, E. From Migrant to Acadian. McGill-Queen's University Press. 2005. p.61; Campbell, Gary. The Road to Canada: The Grand Communications Route from Saint John to Quebec. Goose Lane Editions and The New Brunswick Heritage Military Project. 2005. p. 21. ↑ "Meductic Indian Village / Fort Meductic National Historic Site of Canada". Parks Canada. http://www.historicplaces.ca/en/rep-reg/place-lieu.aspx?id=14831. Retrieved December 20, 2011. ↑ "Wabanaki". Wabanaki. 2013-08-26. http://www.wabanaki.com/Harald_Prins.htm. Retrieved 2013-09-16. ↑ John Reid, "1686-1720: Imperial Intrusions", in Buckner, P. and Reid J. (eds), The Atlantic Region to Confederation: A History, Toronto University Press. 1994. p. 82. ↑ John Reid. "1686-1720: Imperial Intrusions". In Buckner, P. and Reid J. (eds). The Atlantic Region to Confederation: A History. Toronto University Press. 1994. p. 82. ↑ Roach, Marilynne K. (2002). The Salem Witch Trials: A Day-by-Day Chronicle of a Community Under Siege. Lanham, Maryland. p. 163. http://books.google.com/books?id=TvxES1lB6XoC&lpg=PA163&ots=YUA3fyQH7i&dq=Madockawando%20Converse%20do&pg=PA163#v=onepage&q&f=false. "King William's War". New International Encyclopedia. 1905. "King William's War". Collier's New Encyclopedia. 1921.